Business Description : Better nutrition starts here. We bring together leadership expertise in cheese, dairy and plant proteins, bioactives, flavors and premix manufacturing into one nutritional powerhouse. Our broader range of food & ingredient solutions, custom-built services and ability to supply globally creates a unique recipe for co-innovation partnerships that deliver our customer's best solutions helping them reach the market with outstanding products faster. 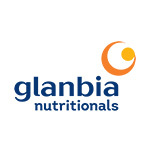 Learn more about what's possible when you just add Glanbia.